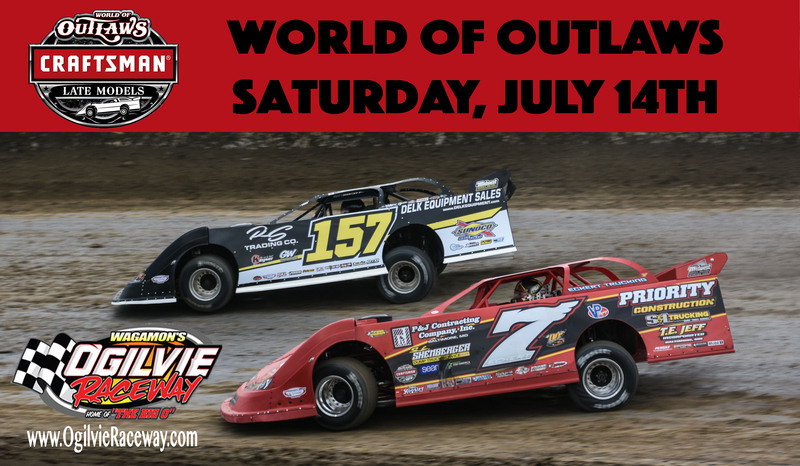 World of Outlaw Late Models, with Midwest Modifieds and Hornets! ATTN. 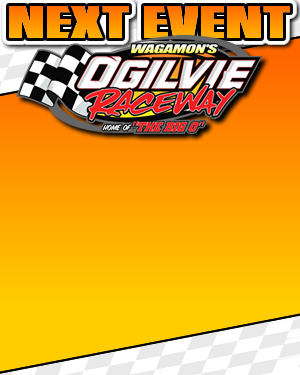 WISSOTA and Local Late Model Drivers: You are all welcome to race here this Saturday when the World of Outlaws Craftsman Late Model Series comes to Ogilvie Raceway. 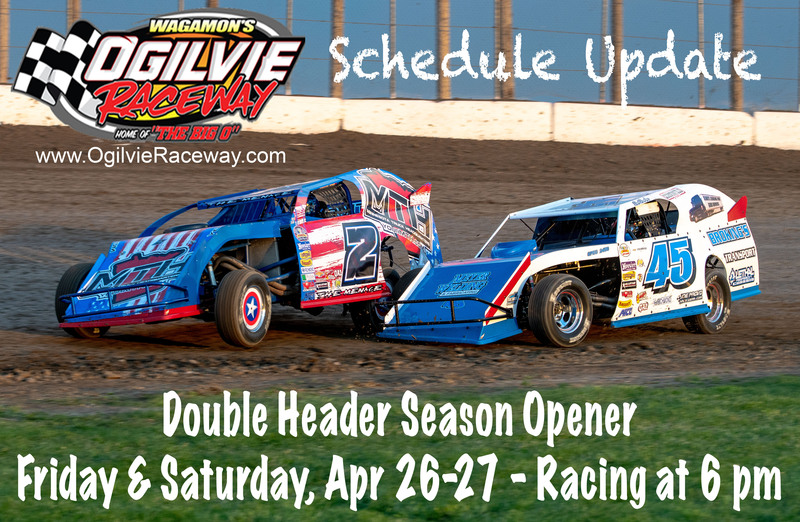 Please contact Matt Curl at 309.532.7862 from WoO with any questions.